Now that summer is over you can put away your bathing suit, floppy hat and sunscreen—right? Not so fast with the sunscreen. The sun hasn’t packed its bags and left town. Even on gray days when the sun is hiding behind clouds, its rays can still find you. And that means you’re still at risk for melanoma, according to Jeffrey M. Farma surgical oncologist at Fox Chase Cancer Center. The most common cause of melanoma is skin damage from exposure to ultraviolet (UV) rays from the sun and tanning beds. A – Asymmetrical. Does one side not match the other? B – Borders. Does it have irregular or blurred borders? C – Color. Is the color of the mole not the same all over? D – Diameter. Is it larger than 1/4 inch across? E – Evolving. Is a mole changing or growing? Is it itching or bleeding? “Any of these changes would be concerning,” Farma said. Any tan-seeking person puts their self at risk for melanoma. You’re also at increased risk if you have red or blond hair, blue or green eyes, skin that freckles or burns easily, or a lot of moles. And although those with light skin get melanoma more often, people with dark skin are at risk too. First, pick a good sunscreen. The label should say it provides broad-spectrum protection and an SPF (sun protection factor) of at least 30, Farma said. 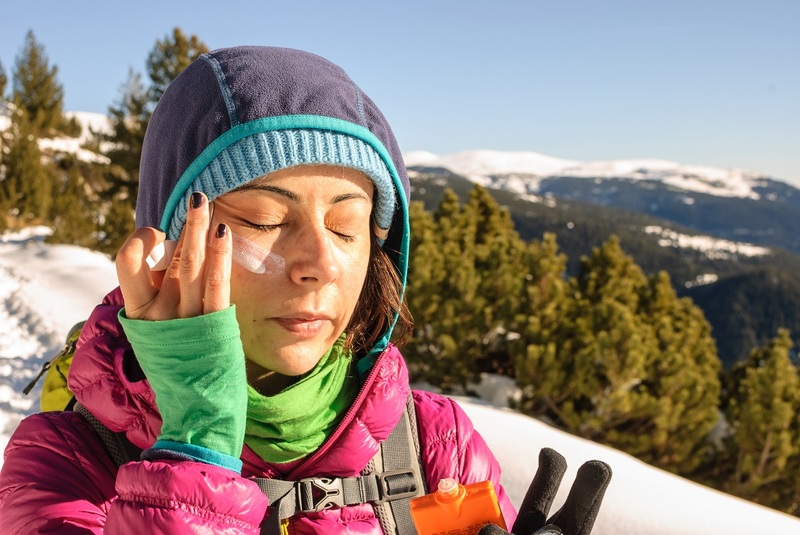 When outdoors in any season—UV rays reflect off snow, sand and water—cover all exposed skin with sunscreen, and reapply every two to three hours. “You don’t want to tan,” Farma said. “That’s the most important thing. Secondly, get to know your moles. During a skin exam, your primary care provider will check your skin for moles, birthmarks or other pigmented areas that look abnormal in color, size, shape, or texture. If your provider finds something that looks suspicious, he or she may refer you to a dermatologist. Talk to your primary care provider about having your skin checked. Remember, when found early, melanoma is highly treatable. Why Should You Protect Your Skin from the Sun this Summer?